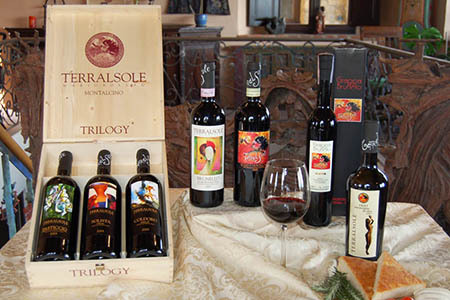 Terralsole is a small family run winery. It was established in 1996 and is the inspiration of veteran winemaker Mario Bollag and his wife Athena Tergis, two artists who combined their love of visual arts and music with their passion for winemaking. 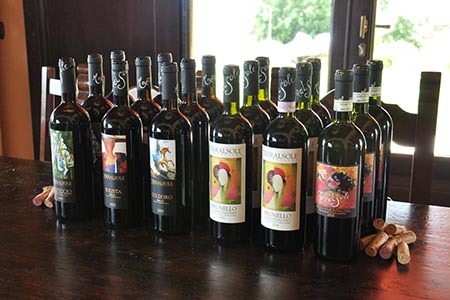 Terralsole’s 12 hectares (30 acres) of vineyards echo his harmony combining two distinctive terroirs in Montalcino to create full bodied, balanced wines. The Pian Bossolino vineyards surround the winery and Villa Terralsole. 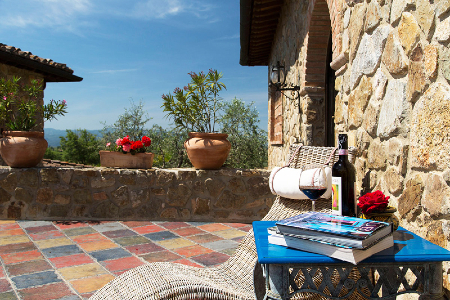 It sits at 1,200 feet on the southeastern slope of Montalcino, enjoying cooler weather and excellent ventilation. The vines ripen slowly and evenly, producing expressive aromas and elegant flavours in the wine. The vineyards of Fonte Lattaia sits lower at 750 feet. 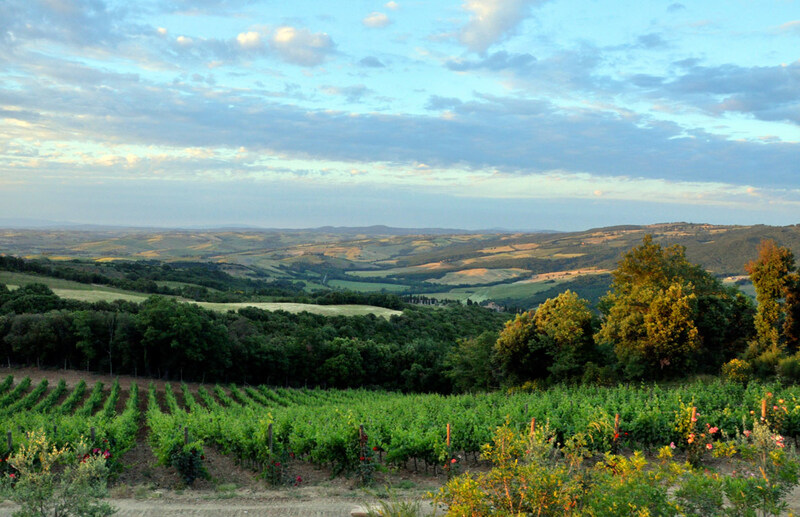 It’s unique terroir of marine deposits and clay maintain balance amid the warm, dry climate of Montalcino’s southwestern slope. Here, Sangiovese is rich, stately and structured. All our wines are 100% estate grown, hand harvested and bottled. Great wine is made in the vineyards, not the Cantina. With this in mind, Sangiovese Grosso was planted in 1996 on specifically chosen clonal selections and rootstocks dedicated to the soil types and vigor levels of our different terroirs, their aspect, and average diurnal temperatures.